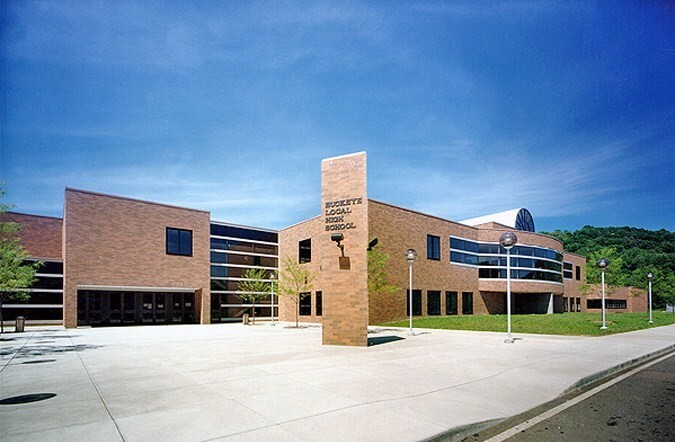 With the passage of a levy in 1987, Buckeye Local High School was constructed and opened to students in 1990. The facility has an 800 seat theater/auditorium; two (2) gymnasiums and a practice room for wrestling; a fitness / wellness room; weight room; Computers are available throughout and, a track and softball and baseball fields surround BLHS. The baseball field was renamed Bill Mazeroski Field on May 17, 2003, to honor "Hall of Famer" Bill Mazeroski, who played for the Pittsburgh Pirates for sixteen (16) years. There are two (2) full-time guidance counselors who conduct activities to address career opportunities and options. The Guidance Office is equipped with two (2) computers connected to the Ohio Career Information System and works with students on Individual Career Planning. College representatives visit the school throughout the fall and winter to meet with the students and various Career Days are scheduled. Buckeye Local High School is an ACT testing center. Buckeye High School has a high school level educational program with excellent programs for all grades. Buckeye Local High School offers several curricular programs: Merit Scholars, College Preparatory, Business, Technical Preparatory, Vocational, Special Education. Buckeye Local High School has a number of activities available for student participation throughout their high school years. Among them are Band, Jazz Band, Choir, Foreign Language Club, Art Club, Science Club, Drama Club, F.C.A., Student Council, and National Honor Society. There are twelve (12) athletic programs available to students. They include: Golf, Football, Bowling, Volleyball, Cross Country, Boys' Basketball, Girls' Basketball, Wresting, Track, Softball, Baseball, and Cheerleading. Our athletic programs have been successful due to the cooperation and dedication of students, coaches, and parents. The administration and community have been, and will continue to be, solid supporters of all the athletic programs.